Pavilion Celebrates Technology, Space and Sci-Fi March 30-April 1 in Washington D.C. If it’s February, it’s Katsucon! Katsucon is the assemblage of cosplayers, gamers, artist, animators, hobbyist, actors and anything else you can imagine all in the name of Japanese culture. The annual convention took over the Gaylord National Harbor for three days this President’s Day weekend. It’s fandom taken to a whole new level. Who's Ready for 6th AwesomeCon? 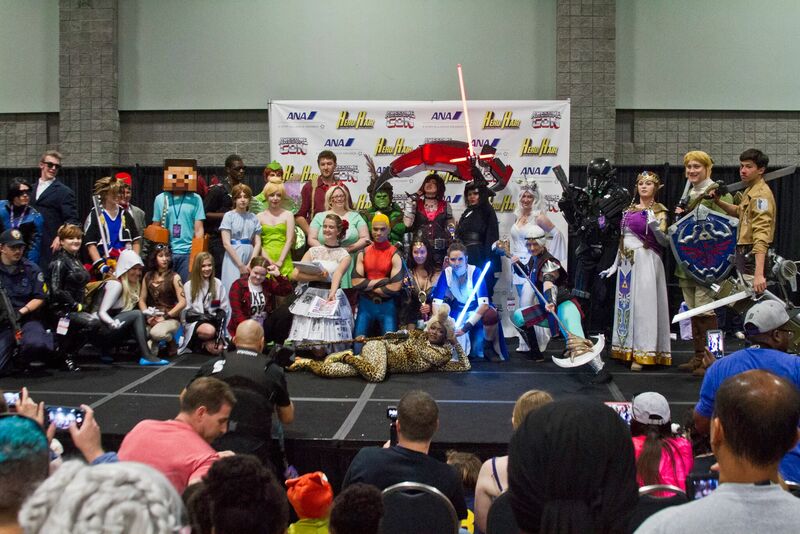 The Baltimore Comic-Con returns to the Inner Harbor’s Baltimore Convention Center on September 22-24, 2017. The Baltimore Comic-Con is pleased announce a Friday evening event on September 22nd at 7:30pm, featuring a special performance by Lynda Carter as she brings her show, “The Other Side of Trouble”, to “America’s Greatest Comic Book Convention” for a very special 90 minute concert. This is a one-night-only event, so make sure to get your tickets early as it is guaranteed to sell out! This will be a memory that lasts a lifetime, with opportunities to see a wonderful concert performance and hear her stories. This is a unique event, brought to you by the Baltimore Comic-Con. Smithsonian magazine and LeftField Media today are announcing a partnership to create an exciting new live event called “Future Con,” a three-day science, technology, and entertainment celebration that will be featured within LeftField Media’s upcoming Awesome Con on June 16-18, 2017 at the Walter E. Washington Convention Center in Washington, D.C. Future Con will highlight the intersection of science, technology, and science fiction inside D.C.’s largest pop culture event. It is sponsored by Science Channel, features partners including NASA, the American Physical Society, the National Science Foundation, and Nerd Nite, and it will be headlined by StarTalk Live! hosted by Astronaut Chris Hadfield, who became a social media sensation through his (literally) out-of-this-world videos and performances from the International Space Station.